Best tips to get your marketing cloud ready. You already have an email database you built over time. 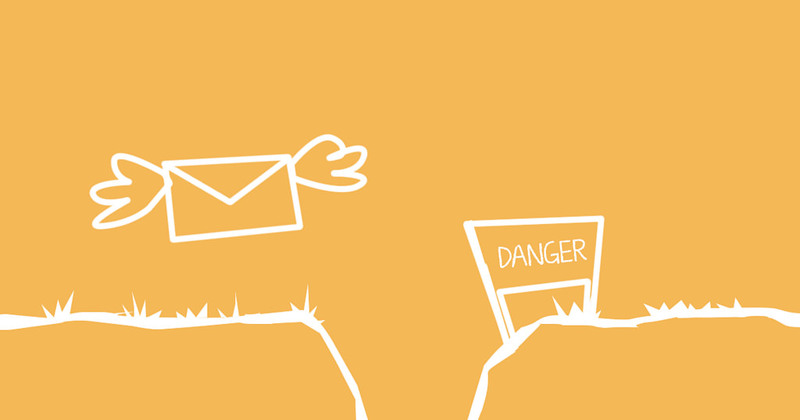 As you know each year you lose about 25% of these email subscribers for various reasons. Some unsubscribe, other do not exist anymore and so on. This year you’ll have another reason to clean your email list: GDPR. If you do not have clear consent from those users or you can not trace valid consent you might need to remove them completely. So you will need consent again. We have a great re-confirmation tool for you to start using today. You may also think about including our new “confirmation” button into your outgoing emails, so you get everything transparent and fair. The special tag will turn into a unique confirmation link. Any subscriber who clicks it is re-confirmed and you’ll have a record of that consent. Bear in mind if you go down the re-confirmation route, even if it’s just once, you are committed to honouring it. Otherwise, after May 2018 you will ONLY be able to email subscribers who have clicked confirm. ​Disclaimer: The above information and materials created by our team are not intended to constitute or provide any legal advice. You should seek advice from a legal professional or contact the Information Commissioners Office to discuss your business needs. Each advertiser has different strategies and ways of approach, regardless of the marketing channel used, but there is also a small set of rules that each of them has to respect if they want to get good results. Leave Intent – A new smart trigger (different from Exit Trigger) that can be used when clients try to leave your website for real. Invoice Feedback – A feedback survey link is inserted into our outgoing invoices automatically. Please take 2 minutes to complete. Newsletters – We’ve prioritised newsletter sending before recurring campaigns and created more parallel workers to send those. How to Build User Segments? 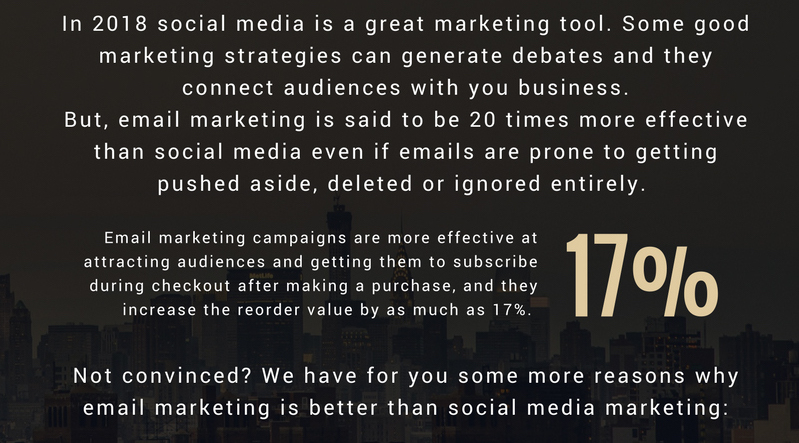 [Infographic] Why email marketing is better than social media marketing? Why email marketing is better than social media marketing? In 2018 social media still remain a great marketing tool. Some good marketing strategies can generate debates and they connect audiences with you business. 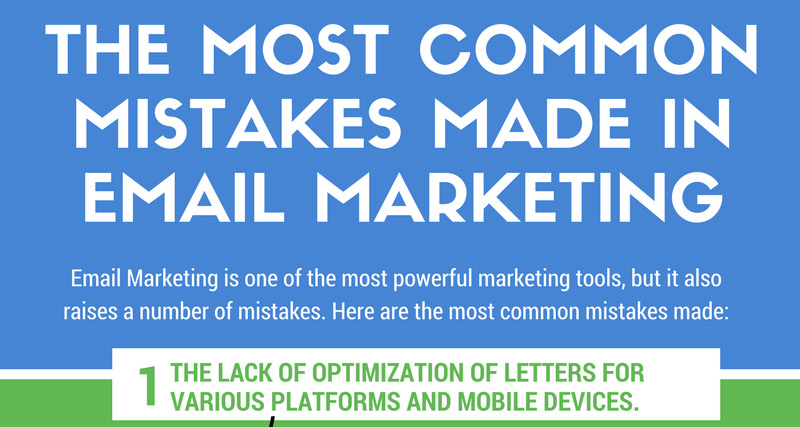 However, email marketing is said to be 20 times more effective than social media even if emails are prone to getting pushed aside, deleted or ignored entirely. Email marketing campaigns are more effective at attracting audiences and getting them to subscribe during checkout after making a purchase, and they increase the reorder value by as much as 17%. 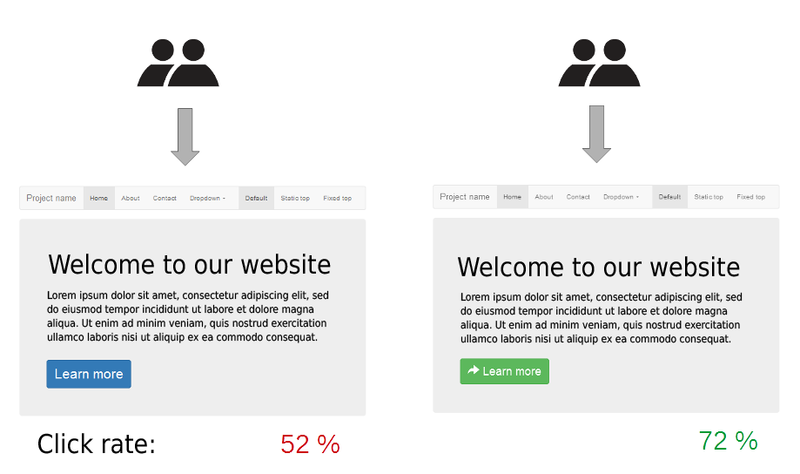 What is A/B Testing and how can it help your business? A/B testing is a great way to compare digital marketing tools or strategies to see which one is working better. It’s a cost effective way of testing everything from web pages to email campaigns against each other so you get the best ROI. Using this method, you’ll get the numbers and statistics to see what needs to be changed out, tweaked or left alone. Email is still the best channel in terms of return of investment for ecommerce. So what are the best ecommerce email campaigns to increase your sales? 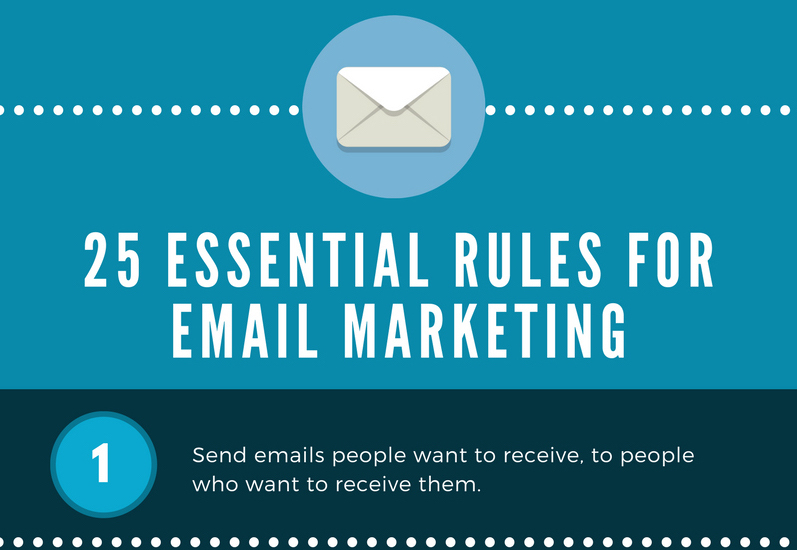 Hopefully you already build your list of email subscribers. 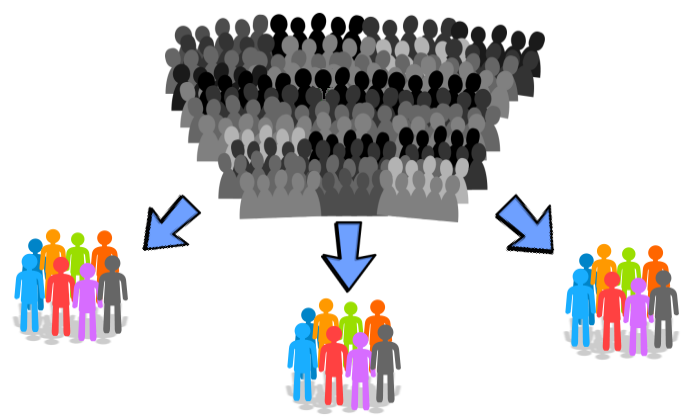 After that you can start small and send good campaigns in order to keep your customers engaged. We send the best advices on marketing, promotions, strategy and growth tactics to grow your business. Join MARA community with other 320+ marketers!